CICOP Italy, in collaboration with Centers joining CICOP Net Confederation, organizes educational stages by inserting interns into projects of intervention or study aiming at the preservation of architectural heritage. Tutors: directive committee of CICOP Italy or CICOP Net Center of intern destination. The protection of archaeological sites. The Macedonian tombs of Pella; the emergence of Hellenistic graves emerged during the new buildings foundation work in Rhodes, Dodecanese (Greece). Stage on disused barracks of Orvieto. They participated in the internship undergraduates and recent graduates of Politecnico di Milano (BA in Architecture), Florence University (Faculty of Engineering) and the Polytechnic University of Valencia. Tutors: Ing. Federica Forbicioni, Prof. Arch. Nina Avramidou. Monumental Cemetery of San Cataldo in Modena. Diagnostic studies on post-earthquake damage and surveys on the sculptural structures of the Holy Camp. Participants: new graduates from the University of Florence. Investigations of the building complex, surveys and historical research. Participants: new graduates from the University of Florence. Cognitive Analysis of representative buildings located in the Dodecanese island of Rhodes, Leros, Patmos, Karpathos, built during the Italian occupation of the islands (1912-1943). The analysis is of architectural, technological and diagnostic type, and follows the working methodologies in the quality assurance system according to standards already prepared by the working group. Period of stages: july-september 2001. Logistics: travel expenses and stay on the island (in limited numbers) are covered. Requirements: good knowledge of CAD applications and basic knowledge of spoken English. polymer nets for plating of brick masonry walls. 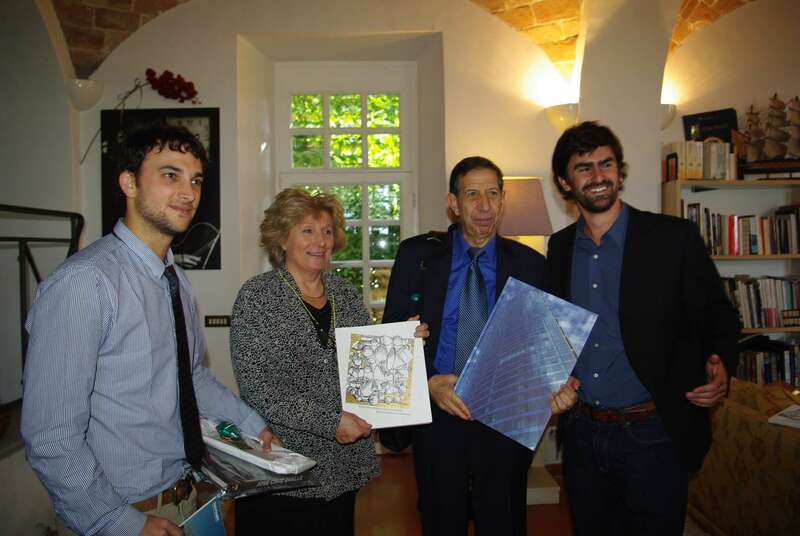 Undergraduates at the University of Florence (Faculty of Architecture) took part in the internship. Tutors: Ing. Milos Drdacky (Director of the Academy of Sciences in Prague), Prof. Ing. Ramiro Sofronie (president of UNESCO Romania), Prof. Arch. Nina Avramidou (University of Florence), Ing. Vito Renda (JRC Ispra). Investigative instrumental surveys and structural and architectural surveys. Discovered the windows of the Renaissance plant and various frescoes that were covered with later remodeling and plastering. Participants: new graduates from the University of Florence and Emilia Romagna. In cooperation with the Slovenian Monument Superintendency. Stage of CICOP Federation organized and directed by the vicepresident for Europe Prof. Arch. Nina Avramidou, in collaboration with the Municipality of Tequise and with spanish section of CICOP. Study of the building technologies of rural architecture of Tequise, in Lanzarote island. Participants: students from Architecture Faculty of University of Florence (thesis on the same topic). Interns of CICOP Chile, Arch. Nicolas Urzua and Arch. Benjamin Costabal, at CICOP Italy headquarters in Orvieto, during the opening day of BRAU1, September 2011. In the center of the photo, CICOP Italy President Nina Avramidou and ICCROM Director Mounir Bouchenaki. 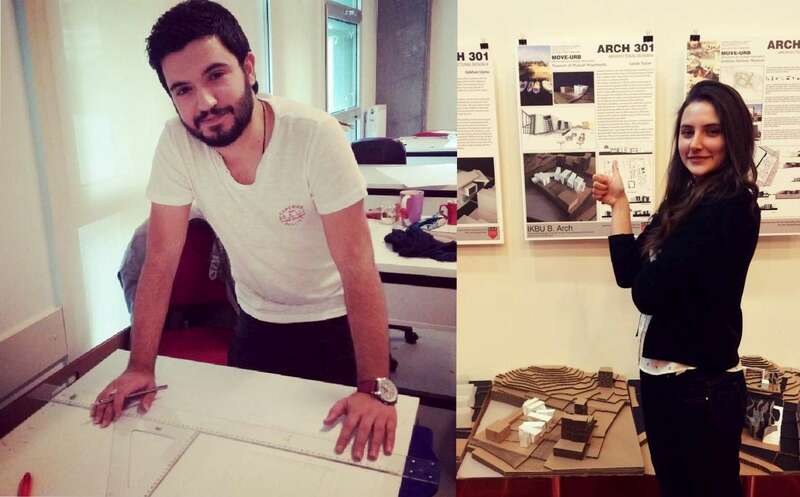 Erasmus students Gokhan Usma and Godze Tastan from Kemerburgaz University (Turkey), during internship at CICOP Italy, 2015.